Most of us love expressing ourselves through our hair. Those of us lucky to be born with beautiful, natural hair can get very creative with styling. We can relax and straighten it, or wear our born-with-it curls loud and proud. From braiding to coloring there is so much you can do with natural hair. Styling hair, after all, is a fun way to let our personalities shine (and fit in with our busy schedules). While some ladies (and men) only think about the final look when using all these hair products and tools, the wise ones also prioritize protecting their hair long term from any damage. And with natural hair it really pays to be protective. Aside from hair coloring and excessive brush-overs, one of the most common ways to damage hair is to apply heat to it. It is tempting to believe that our thick curls are strong enough to handle anything, but even they can’t withstand the permanent damage that 400-degree straightening irons and curling wands can do to your hair. Be smart and start using a heat protectant, if you haven’t already. Believe it or not, doing this simple thing will save millions of hair strands from getting prematurely chopped. If you regularly curl or straighten your hair without heat protectant you could already be saying goodbye to future good hair days. Hair damage from heat can happen in a single styling. But more commonly heat damage happens from months of regular heat styling. Us coarse-haired girls that want straightened hair fast might think that a straightening iron set at the highest temperature will get the job done fast. Well, it does. But it sadly, it also guarantees damaged hair. It’s no secret that us natural-haired girls like straightening our hair. Some do so successfully over the course of several years. These girls do end up with their desired looks, but, just like in the previous scenario, they are left with dry, unhealthy hair thanks to heat damage. The worst part? Hair damage is fairly irreversible. So, it’s not a myth anymore; heat can, in fact, damage your hair. To understand how, learning about hair is a must. 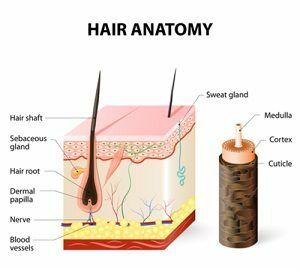 A single hair strand has two main components: the inner cortex, which has the protein keratin as well as water molecules; and, the outer cuticle, which is characterized as shiny, as long as the hair is healthy. If the hair s heated too fast, the cuticle can get little cracks. Essentially, when excess heat is applied to hair, the water molecules evaporate. This results to dryness and dullness.If that’s not enough, it also weakens the keratin, especially if really high temperatures are involved. This protein is the most important element of hair, which dictates its shape and strength. So, it’s only natural that keratin treatments are used to combat damaged hair. However, one does not want to get to the point where you to go to the nearest salon and ask for help for brittle strands and split ends. The best way to lessen heat damage is to take preventive measures, like using heat protectants. What exactly is it? Well, a heat protectant is usually a serum, cream, or spray that is applied to damp or dry hair before heat styling to reduce the risk of heat damage – emphasis on the word ‘reduce.’ Completely protecting hair from heat damage is a feat that hair stylists can only dream about in their sleep. The truth is, a lot of factors can contribute to damaged hair, and the only way to completely avoid damage is to never touch it. Since that is nearly impossible, the best way to go is to practice preventive measures. Now, heat protectants have the power to not only shield hair from damaging agents, but also to moisturize it. Think of it as a sunscreen – but for hair. Most of the time, heat protectants contain either silicones, like dimethicone and cyclomethicone, or water-based polymers, like polyquaternium and acrylate copolymer. These basically act as a barrier between hair and heat. As a fun little bonus, they can also reduce damage caused by the Sun’s UV rays. Since heat can drastically dry out hair, a heat-styling enthusiast would always need to have a moisturizing product as well. So ideally would be included in the hair protectant product. Most heat protectants contain ingredients like propylene glycol and panthenol that work to not only hydrate hair, but also seal in moisture. So, by using a good quality heat protectant, you can do away with the fear of drying out your gorgeous natural hair every time you’re in the mood for a stretched-out ‘do. Plus, goodbye frizz! A win-win, but it only gets better from here. Most heat protectants today are aiming for multi-functionality. That means aside from offering to protect and moisturize your natural hair, some also promise to strengthen and nourish the hair. Before buying one, consider first your hair type and your particular needs. I like a spray so I dont have goop on my my hands when I pick up the flat iron. Sprays are lighter, and work best for thinner hair. If you have have thick coarse curly hair, then a thicker product like a creme is probably going to suit you best. Whilst silicones generally make up the bulk of the heat-protecting ingredients of a hair protectant. However, to choose the best quality heat protectant out there, you need to know some of the other ingredients worth looking for. Silicones create a strong and flexible barrier even at high heat (we’ve all seen the silicone cup cake moulds, and heat mats). Some people dont like silicones as they can create a build up on your hair. This buildup is the protective layer that is saving your hair from heat damage. Silicones also give your hair that soft, shiny smooth feeling, and help detangle. So dont throw out your silicone heat protectants just yet. Regular silicones are extremely good at getting the job done. Most studies show that they are the best are working in the high temperatures of flat irons. But for some, a better alternative is water-based silicone or film-forming polymers, such as dimethicone copolyol (or PEG-[X] dimethicone), stearoxy dimethicone, and behenoxy dimethicone. These also act as heat barriers, but have a lighter feel on the hair. These water-based silicones are often found in spray hair protectants. As they dissolve off your hair with water you can simply rinse to remove any excess. Getting your heat protectant to moisturise at the same time as providing thermal protection is easy. Look for products that contain ingredients like keratin and natural oils. Keratin is the main constituent (ingredient) of hair, so its benefit is pretty self-explanatory. Natural oils, on the other hand, nourish the cuticles to achieve a shiny, healthy look. You will probably recognise most of these with a little experience. Ingredients such as avocado oil, jojoba oil, aloe vera & shea butter have been popular hair moisturises for a long time. You may not recognise glycerin or panthenol as moisturisers. The are humectants which bind water, even from the atmostphere. These are key ingredients in locking in that needed moisture. Hopefully you are convinced that you should be using a hair protectant every time you use a flat iron to straighten your hair. But how best to use a hair protectant. Heat protectants are generally best applied to damp hair. Some do say you can use on dry hair, so read the label carefully first. Take care using a flat iron on very wet hair, as you will have to apply the iron for a longer period to dry the hair, increasing the risk of heat damage, even with a protectant. Make sure you hair has been conditioned thoroughly so the protectant will be absorbed into the hair shaft and give it a bit of time to bond before you apply the flat iron. To use a spray hair protectant start about 6-8″ away from your head and spray top to bottom. If you have a lot of hair, you may need to section hair roughly to make sure the under layers get protection too. Comb through to ensure coverage. When using a creme, start out with a very small amount – you want the minimum needed to coat the hair. Too much will weigh down the hair. Rub the creme between your hands and gently spread through your hair. Repeat if needed. All natural hair will benefit from most types of hair protectant, so choose the one that will suit you. Dont be afraid to try a different product from time to time. There are hair protectants suitable for every special hair dilemma, whether it’s dryness, dullness, or weakness. The most challenging thing with using a heat protectant is actually remembering to apply it to the hair before heat styling. There are definitely ways around this, though. One could keep the product front and center on the vanity or keep a reminder note on your flat iron. Using a heat protectant definitely will help your hair cope with the stress of being straightened. Whether you do it regularly, or just on special occassions, apply your protectant first so your natural hair stays as healthy and strong as possible.